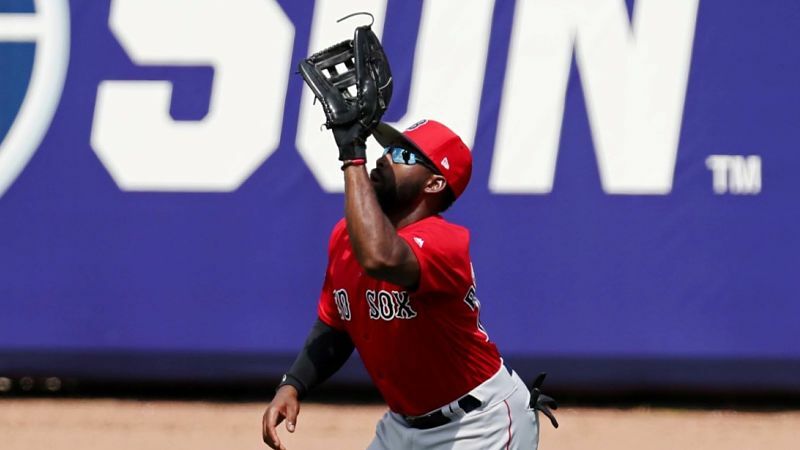 Jackie Bradley Jr. has been arguably the defensive outfielder in baseball since he broke into the Majors in 2013. It’s nearly impossible to keep track of every single jaw-dropping catch he’s made, but there are plenty that stand out. His most famous to this point is his robbery of Aaron Judge last year. His most impressive is harder to determine. He’s had countless full-extension dives, crashed into walls, reached over walls, and covered an outrageous amount of ground. He makes hard-hit liners in the gap appear to be routine fly balls because he just gets there so fast. Look up “Jackie Bradley Jr. catches” on YouTube and you could spend an entire day watching highlight videos. Add a “no-look” catch after a quick change of direction to Bradley Jr.’s most impressive displays in centerfield. It happened in mid-March and it didn’t look pretty so it will get minimal attention, but it was a nice reminder that the gold glover’s instincts are still off the charts.